The emergence of robotics technologies has made a significant contribution in modern manufacturing industry. Because of the current trend toward high-precision and high-speed machining, there is an increasing demand to develop manufacturing robotic system with improved performances including higher stiffness, higher dexterity, higher adaptability, and higher reconfigurability. Current research activities employ the technologies of sustainable manufacturing to advance and promote the development of modern manufacturing. In recent years, the need for system sustainability and a globally increasing manufacturing, drive a gigantic demand for technology and strategies which will reduce production costs. It is expected that the advanced robotics and automation technologies will revolutionize the entire manufacturing section in the near future. 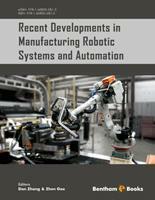 This book includes the start-of-the-art robotic systems and automation for advanced manufacturing, and introduces the latest development of design methodology, kinematics and dynamics analysis, performance analysis and evaluation, intelligent manufacturing, assembly, sensors, control theory and practice, human-machine interface, and so on. This book consists of fifteen chapters. Chapter 1 applies the recursive matrix method to the dynamics analysis of Delta parallel robot, the orienting 2-DOF planetary gear train and the mobile robot provided with caster wheel. Chapter 2 presents the noise and acceleration analysis of an experimental robot manipulator using radial basis function neural network. Chapter 3 introduces a novel design method composed of suitable phases that generate feasible mechanical designs of robotic systems. Chapter 4 discusses the five-axis articulated machining robot with low-cost control and programming system for processing with complex parts of light materials with lower tolerances. Chapter 5 presents the main solutions to design order picking automation systems. Chapter 6 addresses the position, velocity and acceleration analyses of a class of three-legged parallel manipulators with Sylvester dialytic elimination method and screw theory etc. Chapter 7 provides a visual one to one comparison between G & M Code (ISO 6983) and STEP-NC Code (ISO 14649) of computerised numerical control issues. Chapter 8 discusses the characterization of reconfigurable Stewart platform for contour generation and active vibration isolation applications. 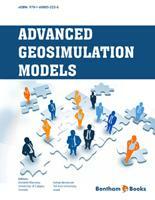 Chapter 9 presents an example of 2-DOF global kinematic model generation to demonstrate the methodology and application of reconfigurable modeling theory. Chapter 10 discusses the safe planning and control strategies during pre-collision operations, post-collision protection strategies, and the development of intrinsically safe mechanical design for physical human-robot interactions. Chapter 11 introduces the 5D B-spline interpolated compensation in five-axis surface machining to enable significant reductions of the geometry-based errors along the intended tool path. Chapter 12 reviews the updated technologies that are used to achieve an assembly environment with high flexibility for the cognitive assembly systems. Chapter 13 discusses the design of a rating mechanism that is intended to measure a company’s satisfaction with its installed automation systems. Chapter 14 presents the kinematics analysis and the teleoperation system of a 4-DOF modular reconfigurable robot. 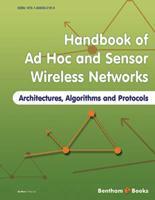 Chapter 15 presents an analysis approach for a class of safety specifications employed in the synthesis of supervisory controllers for discrete-event systems (DES) applied to manufacturing processes. Finally, the editors would like to sincerely acknowledge all the friends and colleagues who have contributed to this book.